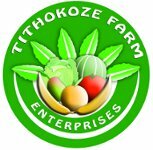 Tithokoze Farm is a family farm, located near Mpingu Trading Centre along Mchinji Road in west of Lilongwe City. 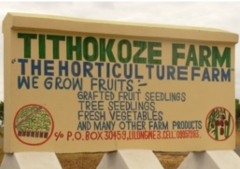 Cosmas and Sophie Katulukira, together with their four children Chimwemwe, Thokozani, Chisomo and Takondwa run the farm growing various fruits and vegetables throughout the year. 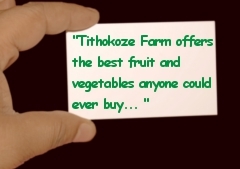 "I have been purchasing fruits and vegetables from Tithokoze farm for over two years now and I have never been disappointed. Freshness and timely delivery are what I value most. Roma tomato, zucchini and eggplants are my favorites."